The tumor suppressor ING3 is degraded by SCF(Skp2)-mediated ubiquitin-proteasome system. p90 RSK2 mediates antianoikis signals by both transcription-dependent and -independent mechanisms. Downregulated inhibitor of growth 3 (ING3) expression during colorectal carcinogenesis. RSK Promotes Prostate Cancer Progression in Bone through ING3, CKAP2 and PTK6-mediated Cell Survival. 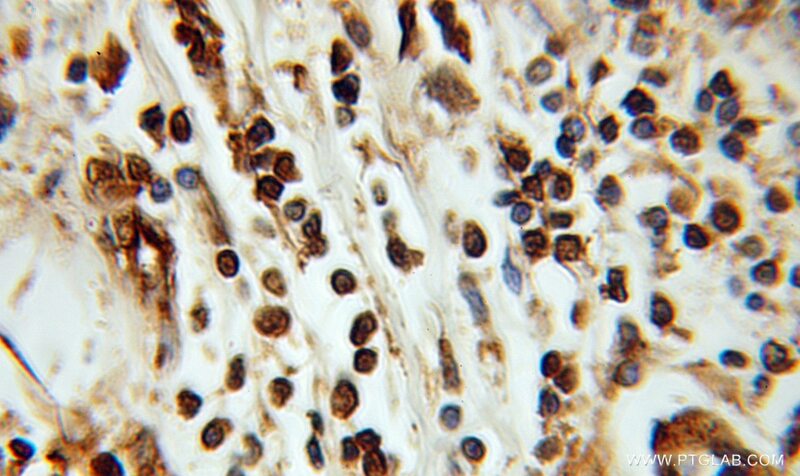 Prognostic significance of nuclear ING3 expression in human cutaneous melanoma.